Marlin 6 is a quality introductory cross country mountain bike with front suspension, 24 speeds, and a wide range of gearing for easier pedaling on climbs. 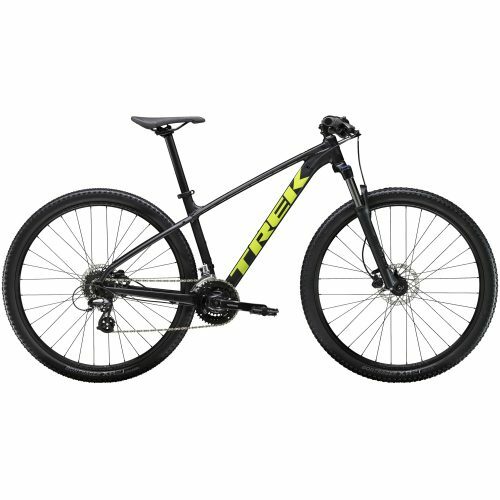 It’s built in Trek’s trail heritage, but also equipped with features like mounts for a rack and kickstand that make it a great choice for daily commuters. Hydroformed Alpha Aluminum frame is race light, mountain strong, and ride tuned for peak performance. 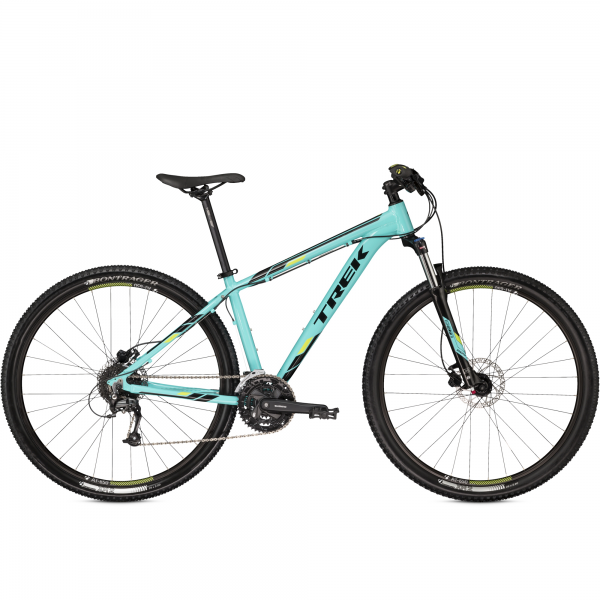 Our extended size range guarantees a better fit, so you get a better ride. For the racer who wants the best all around performance hardtail available. 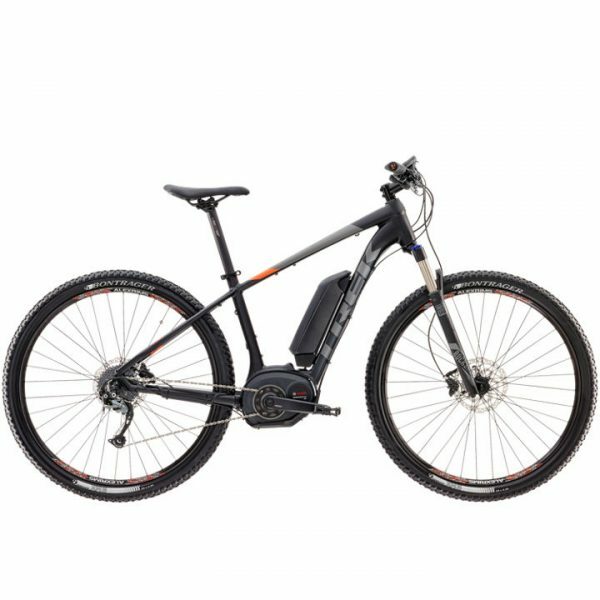 Powerfly 5 is an e-MTB that pairs the boost of a Bosch electric bike system and the sleek looks of a traditional trail bike. The Removable Integrated Battery (RIB) is fully encased in the lightweight aluminum frame but doesn’t require tools for removal. This user-friendly electric mountain bike is built in Trek’s performance trail heritage with exclusive tech, great suspension, and a motor that can help you sustain speeds of up to 20 mph. 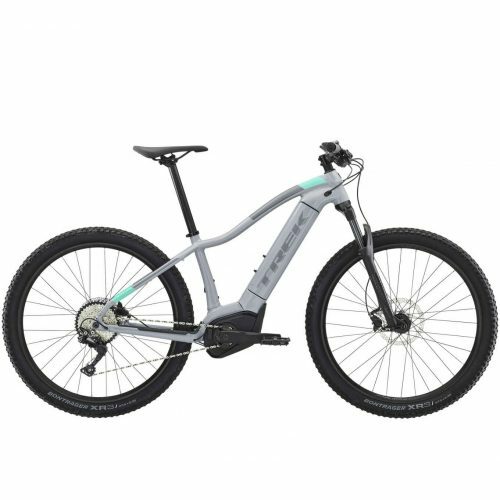 Powerfly 5 Women’s is an e-MTB that pairs the boost of a Bosch electric bike system and the sleek looks of a traditional trail bike. The Removable Integrated Battery (RIB) is fully encased in the lightweight aluminum frame but doesn’t require tools for removal. 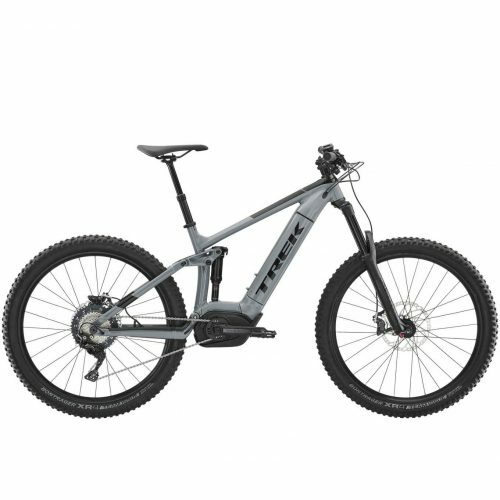 This user-friendly electric mountain bike is built in Trek’s performance trail heritage with exclusive tech, great suspension, and a motor that can help you sustain speeds of up to 20 mph. Roscoe 8 is a trail hardtail for anyone looking to have some serious fun out in the dirt. 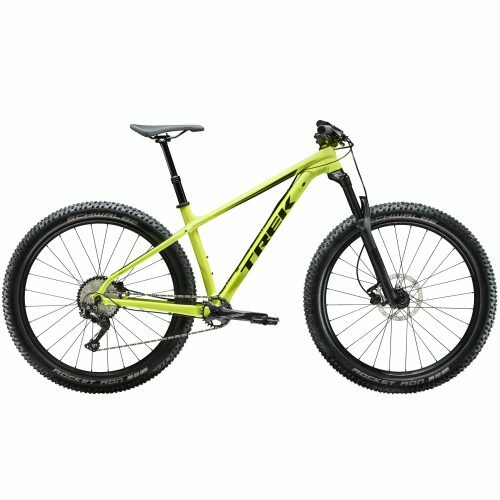 Its 27.5+ mid-fat tires, 1×12 drivetrain, and 120mm suspension fork make it a blast on every trail, from packed singletrack to the loose stuff. It’s a laid-back trail mountain bike dressed in a high-quality spec that’s ready to party.